Coffee is super food packed with loads of antioxidants. With just 2 calories per 1 mug of 8oz black coffee, I enjoy my fill of coffee everyday. I usually take 2- 3 cups of coffee in a day and no more than that. I always follow the rule of moderation. 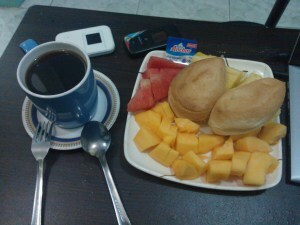 Black coffee on my breakfast. I’ve found that adding 1 teaspoon of virgin coconut oil or adding 10 g of unsalted butter on my breakfast coffee, gives this hot drink more flavor, pleasurable aroma, and better body. Although the fat from butter and virgin coconut oil adds more calories to my coffee, I welcome it still. It’s because 10 g of Anchor unsalted butter only has about 74 calories and Cadia Virgin Coconut oil has 120 calories only per 1 tbsp. These good fat cause your body to feel full and suppress craving for food for a longer period of time. I have this fascination with scones since I had my first taste of this biscuit in Turbool, Brisbane City, Queensland, Australia. Scone was one of the desserts that our picnic hosts, Liz and Colin Tune, served. Since my first fill of this delicious flour-based dessert, I promised myself to find it in my home country and experience it again. 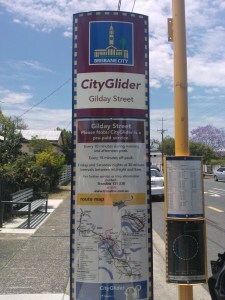 Staying at Paddington, this is the bus stop at Gilday Street where we waited for the bus daily going to work during my almost 1 month visit in the laid back, peaceful, and beautiful city of Brisbane. The Coffee Bean in Burgos Circle at the Bonifacio Global City in Taguig didn’t disappoint me today. They have this last piece of raisin scone for the day. Haha. 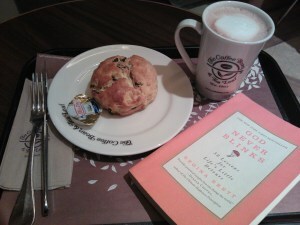 With a cup of latte and 10 g of butter, the scone was pure bliss. Today’s delicious raisin scone at Coffee Bean. Everyday we look for happiness. Some of us look for happiness from someone else, from somewhere else. The elusive pursuit of happiness has become the daily purpose of almost all of us. Kids find happiness in every little thing they have. 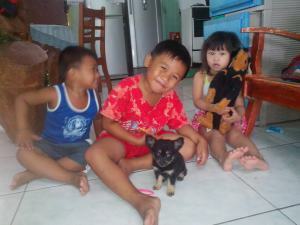 My nephews playing with their puppy are happy. My niece hugging her stuff toy dog is happy. The boys played with a real dog. The girl played with a stuff toy. They share the same excitement. The same happiness. Yet adults gloat over events that happened in the past they can’t change and about the future they haven’t been. 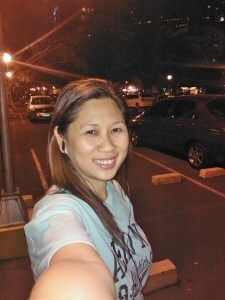 Posted on April 18, 2015 Leave a comment on Where does your happiness lie? 3 Food I always eat to lose weight.